I love love love flowers….can I keep them alive…NO! hahah. For real, what is my problem. I water them, I let them get sun, I fertilize them, I sing to them (may that one wasn’t real) but still, They. Always. Die. I have not given up. Green is one of the best colors, next to blue, and I want, I need to have plants around me. What tips do you have for this poor girl to keep plants/flowers alive?? Hello again Pretty Providence readers. 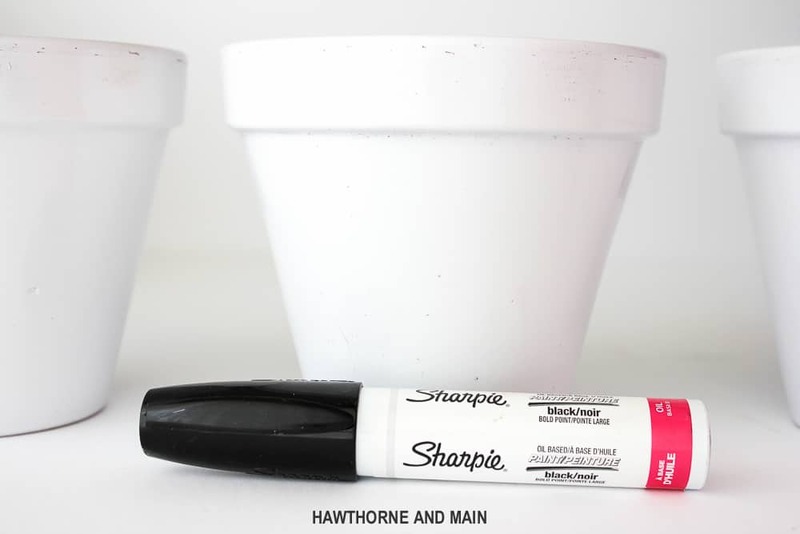 This is Shonee from Hawthorne and Main here to share with you a fun, easy DIY project, I hope you have a green thumb! 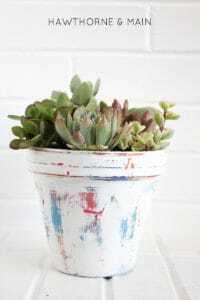 Begin by painting all pots with spray paint. 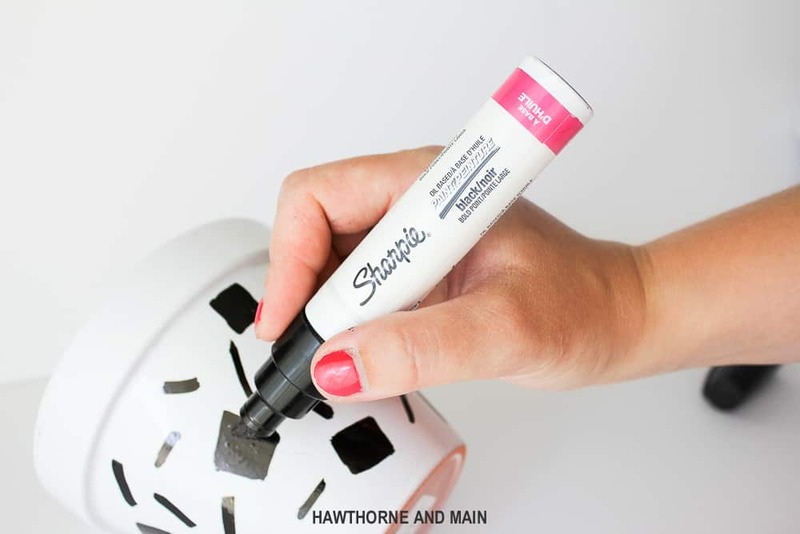 Spray the paint in thin even layers. I ended up doing 3 coats. Let the paint dry between coats, and make sure it is extra try before moving on to the next step. 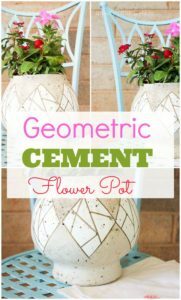 After the pots are dry, it’s time to customize, my favorite part! 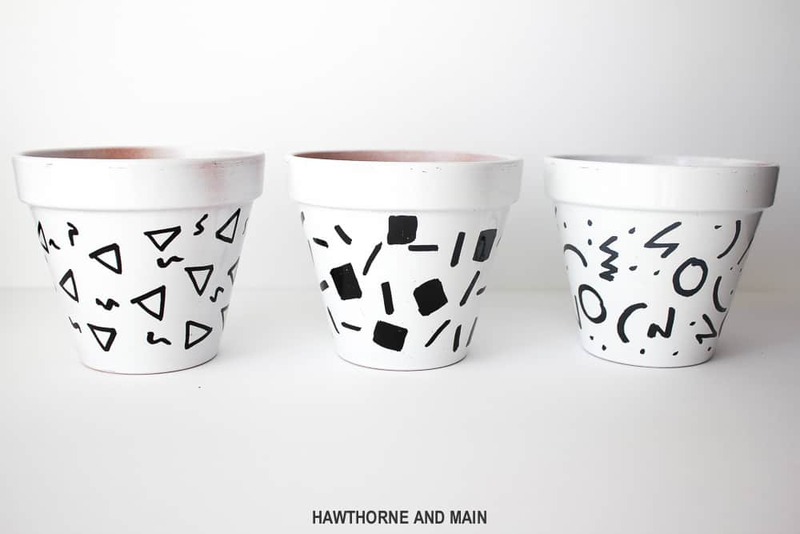 To get the designs for these pots all I did was google search 80’s patterns. My eyes got all wide eyed at the beautiful and fun patterns that adorned my childhood. Seriously the patters are out there, and I love it. 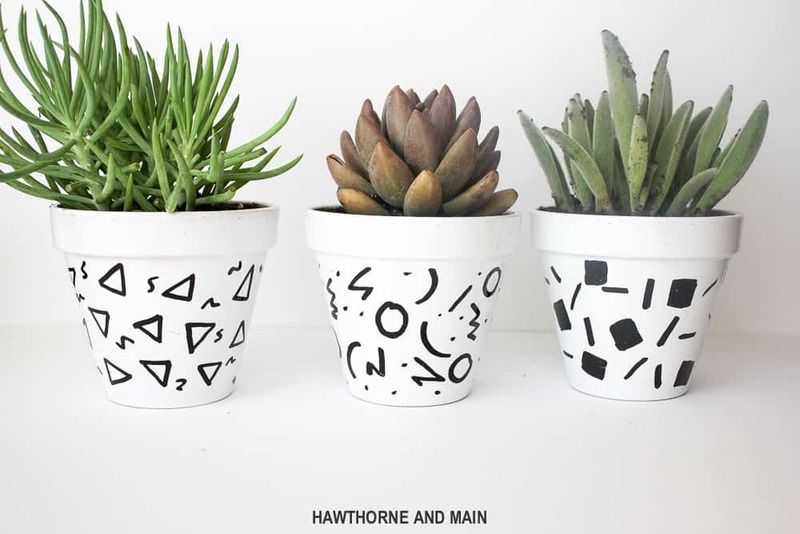 WARNING* If you paint your pots with spray paint you must, YOU MUST use an oil based sharpie marker, mmmkay! 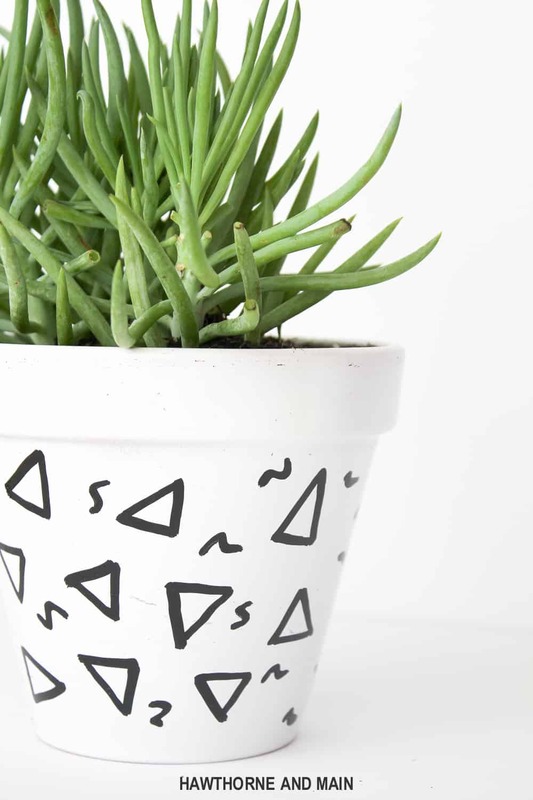 A few triangles, square, zig zags and swirls later you will some fun, funky new plant pots. One word of caution, practice drawing your design on a piece of paper first, you will thank me later! 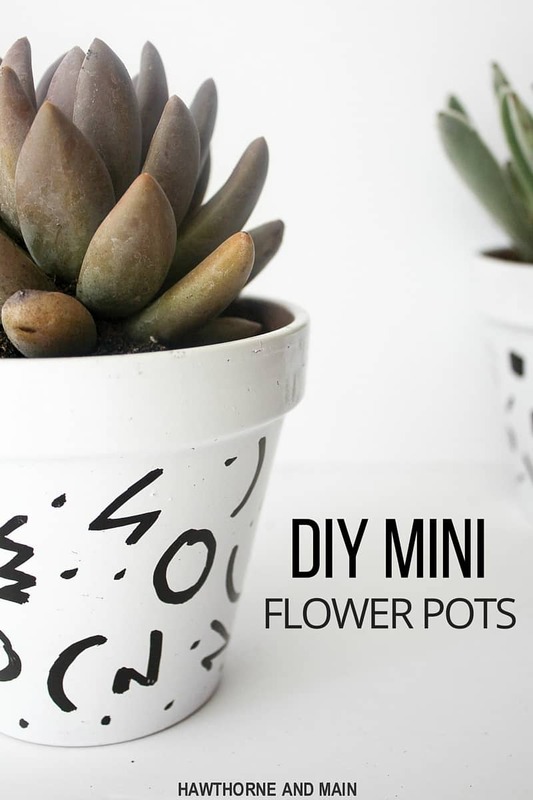 Grab your potting soil and plants. 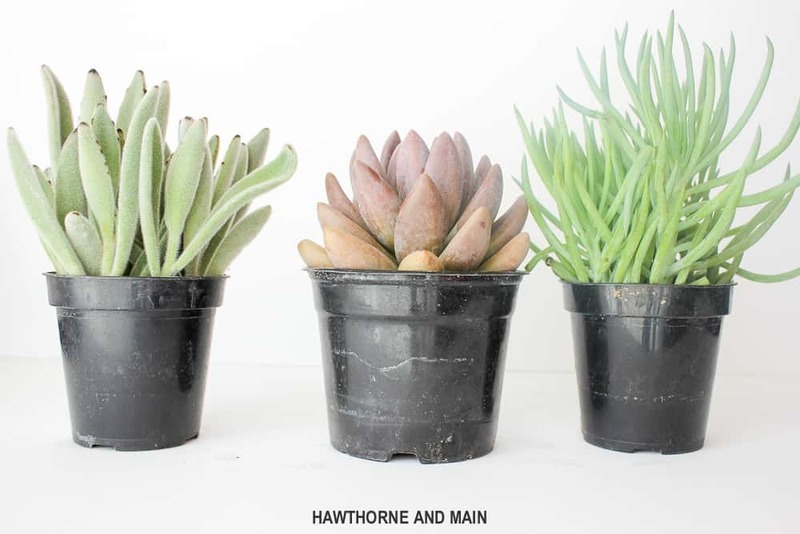 Plant the flowers or succulents. I think my favorite is the one on the left, it’s all fuzzy like velvet. Yay or nay on the 80’s patterns, is it coming back?